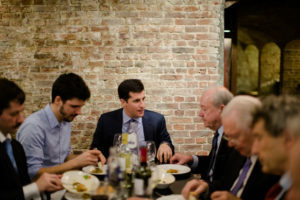 The YGLN aims to meet on a bi-annual basis in order to introduce the network to policy makers from around the Euro-Atlantic area, exchange ideas among themselves, and to determine the future development of the YGLN. 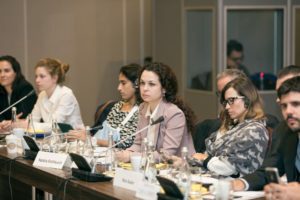 The nature of these meetings have evolved in line with the size and scope of the network itself, however all aim to provide for network engagement with policy makers through panels or dinners, discussion forums among network members, and a final plenary meeting among the entire network. The Berlin meeting explored the domestic and foreign policy challenges Germany faces today in its role as a leader in Europe and the world. Specialists from the German government and the nongovernmental community offered their expert opinions. The YGLN was particularly fortunate to spend an evening with Ambassador Wolfgang Ischinger, Chairman of the Munich Security Conference, who shared his views on Germany, the European Union, relations with Russia, and the erosion of democracy in Europe and elsewhere. The YGLN also met with one of Germany’s top diplomats — Dr. Patricia Flor — who currently holds the post of Director General for International Order, the United Nations, and Arms Control at the German Federal Foreign Office. The Ambassador of the Republic of Estonia hosted the YGLN at his embassy for a panel discussion on the future of the European Union. Experts from Germany and Estonia shared their frank assessments of the successes and failures of the EU. They recognized that despite its many shortcomings, there is no reasonable alternative to this critically important European institution. The seventh meeting brought together over 60 participants from more than 20 countries in Minsk, Belarus on September 3-6. The Minsk meeting focused on topics including the crisis in Ukraine, prospective relations between the Eurasian Economic Union and the European Union, relations between Russia and the West, as well as the political, economic, rule of law, and civil society landscape in Belarus. 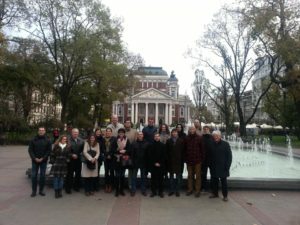 Prominent speakers included the Deputy Minister of Foreign Affairs of Belarus Oleg Kravchenko, Belarusian Parliamentary leaders, and representatives of Belarusian civil society and academic institutions. The plenary meeting also focused on the long-term sustainability of the network. The network adopted a sustainability plan to transition the network to a self-governing organization in 2018. The sixth meeting consisted of a mix of working group and roundtable discussions and plenary meetings. Among the variety of topics we discussed were the rise of populist regimes across Europe, generational differences in global values, policies that may damage the current economic system, reforming the international economic system, enhancing strategic stability in Europe, NATO-Russia relations, and regional security challenges. The fifth meeting focused on roundtable discussions that focused on cyber security, the NATO Warsaw Summit, security in the Baltic region, police reform and the problem of corruption in Ukraine, the rise of radical populism and illiberalism in the Euro-Atlantic region, the backlash against globalization, and the future of economic cooperation in the Euro-Atlantic region. The roundtables were composed of participants in the YGLN and prominent Finnish experts and government and private sector officials. 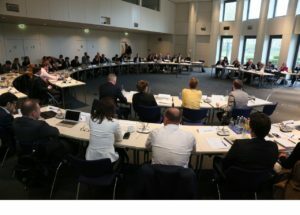 The fourth meeting aimed to refocus to a more holistic discussion of Euro-Atlantic security, drawing upon the specialised expertise of the working groups. To this end the working groups were accorded separate meeting spaces in which to conduct their discussions before feeding into a concluding plenary. Organisationally the network continues to grow, whilst the continuing success of the initiative has led to an ongoing effort to create a more sustainable infrastructure and funding programme. During the summer of 2015 the network organised a merger with the EASI Next Generation Leaders Network, this greatly expanded the group’s national representation and professional expertise. The third meeting was the first at which the newly merged groups could convene collectively, under the new name of the Younger Generation Leaders Network. This meeting drew on the history of conflict resolution within Bosnia-Herzegovina to attempt to develop methods with which to reconcile the ever deepening confrontation between Russia and the west. Organisationally it was determined that the co-chairs of the four working groups should form a ‘core group’, that would serve as a steering body to coordinate the efforts of the YGLN and its sponsors. Such a restructuring would also improve the ability of the group become more self-reliant and begin to develop a sustainable funding strategy. 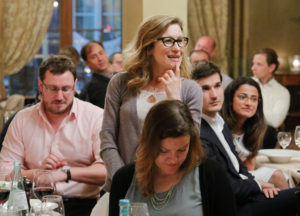 The second meeting, whilst still maintaining a focus on Ukraine (in particular the role of civil society in that country), broadened the scope of the network’s discussions to Euro-Atlantic security as a whole. This took the form of a review of the effectiveness of track 2 diplomatic initiatives and confidence and security building measures. Organisationally the decision was taken to form the four working groups as a way of better focusing the networks discussions and any future public interventions. The inaugural meeting of the Younger Generation Task Force on Ukraine and Euro-Atlantic Security (one of two progenitor networks that currently comprise the YGLN) focused exclusively on Ukraine and the post-revolutionary situation in the country at that time, before examining the prospects for the future development of Ukrainian society and the Ukrainian state. 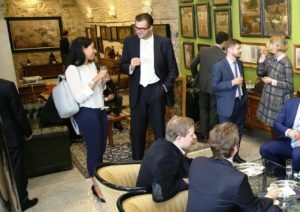 The benefit of the networks ability to promote discussion among young leaders from Russia and Ukraine at such a strained period was readily acknowledged by participants and supporting organisations. Both expressed a willingness to expand the scope of the group through individual recruitment but also through possible mergers with similar organisations.